First of all one must laugh at the idea of anyone characterizing Miguna’s book as a “flesh-tearing tome” unless one is referring to Miguna’s flesh as the book has been nothing but the undoing of Miguna and nobody else. Be that as it may be, there is no doubt the Jackal News story about Salim is yet another attempt by Raila’s opponents to portray him as losing support, since these opponents are having such a rough time finding ways to undermine Raila in the political arena. Sources close to Salim, and indeed many others I immediately contacted about this startling story, say that the Jackal News got everything wrong about the forthcoming book. The facts about the book are widely known, not just among political insiders but by the reading public. The Sunday Nation in July of this year carried a prominent two page spread in its early pages highlighting the essential points about the book. That story indicated that the book will come out after the election, and laid out themes the book will cover. From the highlights, it is so clear that the book is NOT an expose and neither does the book go after Raila or for that matter his opponents; rather, it’s a very serious book which will provide an authoritative history of the decade between the 2002 and 2013 elections, representing objectively the views of all parties and political figures. Salim, the veteran journalist and well-known and respected figure around the world would, indeed, gravely disappoint were he to pen anything other than a serious book we all can learn a few things from and certainly doubly so were he to pen anything like the so-called Miguna memoir. Indeed, if Salim’s intention was to discredit Raila or anyone else, wouldn’t he have the book published before the elections? Isn’t inflicting maximum damage what Miguna had in mind in rushing to publish his attack “tome” which has completely flopped as predicted? Even the most junior journalist or blogger could easily have done some simple homework and got the facts right about Salim’s book, including Chatham House website that Jackal News quotes! When Salim spoke at Chatham House, he highlighted the publication date as being after the election, and he clearly stated the nature of the book and issues issues the book will cover. In that speech, which is summarized on the summarized in the Chatham House website, it is clearly stated that this will be a book about how progressive change has or has not occurred in Kenya and what might be the best way to ultimately achieve it, despite immense obstacles that stand in the way. Rather than the naysayers and Raila haters and non-supporters salivating for a “killer” book from anyone, including Salim, we all should anticipate Salim’s book with equal fervor but for the good reason that the veteran journalist and senior advisor to Raila has drawn from his experience and composed a book we can learn from and reshape our thinking and the way forward. When we do that, namely, looking forward to books that build, not destroy or attempt to, we would have elevated ourselves to greater heights of political maturity. Let’s hope so and wish good luck to Salim with this worthy endeavor. In an article appearing in the Standard yesterday titled “Why I Am Wary of Raila,” its author, one Peter Ngilu attempts to offer reasons that flatly fail on any level of analysis in making the case this Peter was trying to make. As any objective reader will conclude after analyzing this piece of political hack job by someone I have no doubt is a TNA/URP/UDF fan—and there is nothing wrong with that except the hacking, there is nothing, in fact, to be wary about Raila or his presidency. Rather, we have in Raila a president in waiting all Kenyans except the naysayers will be happy and proud to have at the helm. This is at the core of who Raila is; had Peter left it right there, he would have made the case he actually believes as does everyone one else, which is, Raila is the best qualified among those vying precisely because of this and more. Indeed, combined, what Peter has said here is at the core of who Raila is; had he left it there, he would have made the case he actually must believe as does everyone and that is, Raila is the best qualified among those vying for the presidency precisely because of what this Peter has said and more. But he did not leave it there; he instead chose to pursue a line of thinking and argument or “raising concerns” as he calls it that fail in making whatever case he was trying to make when subjected to scrutiny. Never mind he prefaces his attack with these accolades and even shows his “respect” by noting, “However, with all my respects to my honorable respectable Prime Minister,” because his is nothing but an attack piece that I address to him in rebuttal as follows. 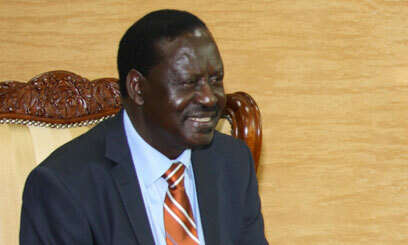 There is no one among those vying for the presidency that has been more consistent in what he or she does than Raila. Instead of making this sweeping allegation without any factual foundation, you would have been better off–and this is, in fact, required in making any convincing case–to cite specific examples where Raila has been inconsistent, shown why that’s relevant or important in the context of his overall leadership ability and, more importantly, you would have had to compare and contrast that with all others seriously vying for the presidency and then make the case why anyone should be more wary of Raila than all the others on this account, namely, inconsistency. You did not therefore this assertion must be dismissed as nothing but an effort to merely say things for the sake of attacking Raila. First of all, which politician doesn’t do this rightly or wrongly and, secondly, and as noted above, by not citing any example, you again leave us with the impression you are merely saying or repeating things you have heard or read without more. Had you cited any example, we could then analyze that example or examples to determine whether (a) the thing was said and (b) whether the denial is accurate. 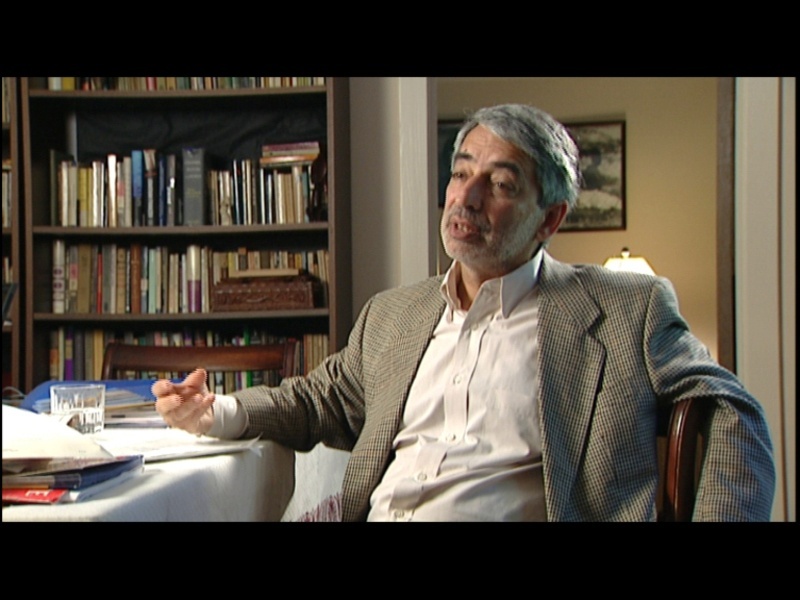 If it turned out that (a) the thing was said and (b) the denial was not accurate or intellectually dishonest, then to complete the analysis, we would have to compare and contrast with the other presidential contenders to determine whether (a) they have said something they later denied having said and (b) if they have and the denial is not accurate or intellectually dishonest, then your point will be pointless to the extent it doesn’t raise anything new to distinguish one politician from another in as far as leadership ability is concerned, which is, in fact the case, namely, a politician saying something and later denying it is not a good measure of their leadership ability, taken in isolation. 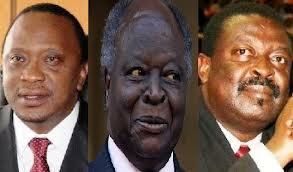 Here, you are simply payukaring or simply don’t know much about Kenyan politics. Raila has never earned the title “Kigeugeu” and neither has he been referred to as such even by his enemies because he’s not and thus the reason I say you’re payukaring. Because it’s false that Raila is or has been a Kigeugeu, it follows therefore that he has not lost any friends or support on account that he is a “Kigeugeu” he is not. Again, examples can help your case or whatever point you’re trying to make; when has Raila shot first and aimed later? How important was that and more importantly, how does that compare to others vying for the presidency to make you more wary of Raila on this account than the rest? First, you are comparing apples to oranges. Kibaki is serving his last term in office while Raila is trying to succeed him, which means by definition Raila must and has to say more than Kibaki does or should. Second, while I would agree with you there are times Raila has said things he shouldn’t or in a way should not, those are rare and taking everything into consideration, they take nothing away from his overall strong leadership abilities and certainly not when compared to those vying for the presidency. 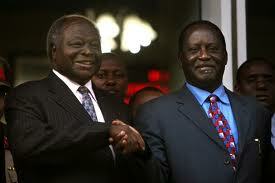 Third, Kibaki’s silence when shouting from the top of the mountains was appropriate has not been good for the country. For example, earlier this year when Uhuru and Ruto went around the country in the so-called “prayer rallies” which were anything but, Kibaki sat quietly as these two sowed seeds of discord and it took the intervention of the ICC warning the two they risked being arrested if they did not stop the reckless conduct and thankfully they heeded the warning and stopped the nonsense. That silence by Kibaki was telling and there are others I can cite but need not as you get the point trying to put forth Kibaki’s ubiquitous silence as virtue and occasional Raila misspeak as a vice doesn’t wash factually and analytically speaking. I’ll rather have a leader who thinks on his feet than one who must be told what to say; in other words, the issue is not that Raila comments on every national issue—he must as a leader but it’s what he says that matter. When I say there are things Raila probably shouldn’t comment about I am not talking about “national issues” which, again, he should and must comment lest he becomes like Kibaki whose silence is often mistakenly read to be he doesn’t care—true in some cases but not in all cases. No argument there but only to point out Raila does, in most cases, do just that. He certainly does just that in all cases that are of national importance or significance. I have previously said I intend to pen a comprehensive blog addressing the question of Maina Njenga and his support for Raila and specifically to address the question of religious conversion and what that means in the context of seeking forgiveness and redemption. Put differently, the question to be asked and answered is can someone like Njenga see light and put his past behind him and become an agent of positive change in the country and my preliminary answer is yes and this was even before I recently met and briefly chatted with Njenga, and especially in light of something he told me that I would note in the blog and that has to do with unity of the country. You are mixing things that are actually separate. While it’s true that Mungiki murdered hundreds of people in cold blood especially in the former Central province, it doesn’t follow that Raila is associating with the sect. There is no Mungiki sect in the country anymore so Raila cannot associate with something that doesn’t exist. What he does not realize is that he is simply reminding us of the horrible accounts of how our relatives were murdered by Mungiki. Would Raila seek the votes of the former members of this defunct sect, most of who were and actually are nothing but hungry and poverty stricken youth and not the murderers some as were some in the sect, Yes! Is seeking votes from the defunct sect a sign of desperation? 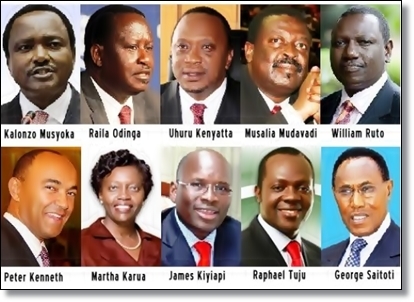 These are Kenyans who more than anyone other than fellow impoverished youth need a leader in the country who can finally address their plight and there is no one better suited for that than Raila among all those vying for the presidency! You clearly have no understanding or knowledge about what you are talking about here; in other words, you’re payukaring again. First, MRC is not an “outlawed” group, so get your facts straight. Second, while some in MRC are still advocating for secession in violation of a court order that lifted the organization’s ban, shunning them or responding to their calls with force is not the solution. Third, and needless to say, MRC is not a “criminal outfit” as you falsely claim. Because MRC is none of these things, and because it’s far more easy to divide than unite, there is nothing wrong for Raila to reach out to MRC and try and have their issues addressed in lieu of the alternative of doing nothing and allowing a controllable situation get even worse. Indeed, it’s a sign of strong leadership ability when a leader like Raila takes on and tackles difficult issues such as those raised by MRC instead of ducking as all other presidential candidates. Your premise is false therefore your conclusion is equally false and please educate yourself before you start saying things like Raila doesn’t love our country; what are you also a rabid follower of the birthers and haters of President Obama in the US who have been screaming to hoarseness that Obama hates America but are miserable because nobody but their kind believes or buys the nonsense? You can attack Raila all you wish but leave some room between nonsense and the attacks and to even suggest that Raila doesn’t love the country is not only nonsensical, it’s laughable. You are clearly desperate if you’re going back 30 years to bring up the 1982 attempted coup as something to attack Raila with; this is actually shameful and not worth even a rebuttal other than to say the reasons you have advanced as to why it makes you wary are nonsensical, misplaced and ill-informed so I won’t say much more than this about this. Early on in the Kibaki Succession Game (KSG), which started soon after the coalition government was formed, it was decided that Ruto will be used as the vehicle to destroy Raila so he and the schemers decided it would fit their plans to try and depict Raila as a “dangerous” man who cannot be trusted. Ruto then embarked on his mission of lies upon lies against Raila for months on end but to their surprise, Raila withstood all the lies and attacks so it was on to plan B. Plan B was to try and depict Raila as a “dictator” who would take Kenya back to Moi and Kenyatta days—if you can believe that– because they know gullible Kenyans like you would fall for such nonsense and antics. You then started hearing shameless mumblings about Raila’s “dictatorship” by the likes of Mudavadi that got louder and louder until Mudavadi left ODM on the false claim that the party was prone to Raila’s “dictatorship” when that’s obviously a lie for Mudavadi has gone on to do exactly what he falsely decried with Raila, namely, carrying himself as the presumptive presidential nominee of UDF. The point is, Raila is no more a dictator than any of the presidential candidates and anyone who says or believes otherwise is either lying or is hopelessly in denial. In fact, Raila is the more accommodating and far less dictatorial of all those vying for the presidency and more so the reason he should and will be reelected as our president. This is first of all false and, more importantly, every single one of those saying so will do exactly what Raila does in maintaining party discipline and loyalty the only difference is, none of them can do so as effectively as Raila does. Conversely, leadership is not for the weak and timid like Mudavadi who has demonstrated he is a very weak and indecisive politician. Each one of the politician who has left ODM has left for reasons that have everything to do with seeing greener pastures elsewhere in as far as their personal gains politically are concerned than anything to do with democracy or Raila’s leadership of ODM. Mudavadi, for example, is a certified Kibaki project to succeed him and if you think for a minute Mudavadi left ODM for anything other than this reason, then besides being gullible, you have a lot to learn about Kenyan politics. The answers are irrelevant question, no, and yes, respectfully. You are here repeating a worn-out attack on Raila that has no basis in fact. Raila, like all other world leaders, travels and stays in a manner and style you would expect any of those leaders to and certainly his travels are no more extravagant than any of the leaders undertake. To argue that the travels are extravagant merely because the money could be used to pay striking teachers, doctors and lecturers goes to show you neither understand why Raila travels as much as he does and, more importantly, you certainly don’t understand or appreciate the benefits to the country from such travels that are far much more than merely paying the striking teachers, doctors and lecturers. You are obviously ill-informed or are unaware of the many things the PM does daily to address and resolve all manner of problems in the country but let me at least assure you from publicly available information the PM intervened in the teachers’ strike and, as a result, a deal was reached ending the strike. Excellent message I join in making the same call. Under this article, Kibaki nominated Uhuru Kenyatta and Raila nominated Musalia Mudavadi to serve as Deputy Prime Minister. While it’s clear as can be that each principal has the right under NARA to nominate one of the two DPMs, it’s also clear and for reasons that are now moot, neither principal can on his own remove either of the principals. Suffice to say these reasons bring back bad memories about the events leading up to the signing of the coalition and how one side used its position to heavily tilt not only the coalition agreement in its favor but the ensuing power sharing. (c) the coalition is dissolved. 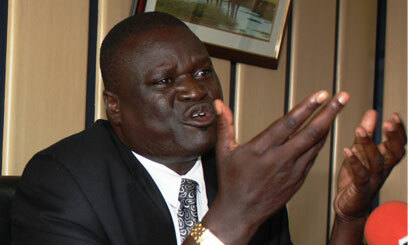 There is no question ODM is the party with a majority of members in Parliament. However, one must have just landed from Mars not to know that if ODM were to bring a motion of no confidence against Mudavadi as a means of having him removed as DPM, there is no guarantee that all of those ODM members and those allied to the party will vote in favor of the motion. That’s our parliament and in case the one just landing in Kenya is confused or at least not clear as to why, it won’t be because those voting against the motion will do so on principle. So, a motion of no confidence is out as a matter of practical reality to remove Mudavadi as DPM—and ditto for removing Uhuru. This leaves death, resignation or ceasing to hold office as MP and dissolution of Parliament as the only other ways Mudavadi or Uhuru can cease to hold office as DPM. The last we know both are still breathing so death is out as an option. The coalition is intact, so, that, too, is out as an option. The wise thing for Mudavadi or Uhuru could do if they believe in the rule of law is to resign but neither has proven to be this wise. So, unless they both gain some additional wisdom and resign, resignation, too is out as an option, except by operation of law as I point out below. Which leaves “ceasing to hold office as MP” as the only other way they can be found to be illegally holding office as DPM. After weeks of whining that he was being denied his democratic right to seek the nomination to vie as president under ODM, Mudavadi defected from ODM to join UDF where he is carrying himself as the presumptive nominee no different than what he pretended to decry while at ODM. To say Mudavadi is an hypocrite on this will be stating the obvious. shall, notwithstanding the provisions of subsection (1) or the provisions of any other written law, be deemed to have resigned from the previous political party. (Emphasis mine). So, under the law, both Mudavadi and Uhuru ceased to be members of Parliament by virtue of their resignation under Article 14(5) because they both left the parties they were elected to Parliament and joined others they now seek the presidency to continue their love-fest with impunity. Because they are no longer members of Parliament, neither Mudavadi nor Uhuru can legally hold the office of DPM because being an MP is a requirement for that office under Article 3(3) of NARA. In a previous letter to you a few months ago, Your Excellency, I noted that you have served and continued to serve our country well, despite what happened during and after the disputed elections of 2007. I also noted that you have done a good job in redeeming your legacy and that the only thing left to seal it, is for you to ensure peaceful handover of the presidency to your successor, preceded by a period of peaceful campaigning and elections. While you have publicly not said much as to who you prefer as your successor as president, there is no doubt in anyone’s mind that you must have a preference and are poised to do whatever you can to have that person elected. That’s all good and well for this is politics we are talking about and no one can condemn you for having a preference for your successor but you will remain rightly condemned and forever so if you illegally or inappropriately use your office to prop up or support your preferred candidate. It is with this in mind, Your Excellency, I write to you because in recent times, you have either conducted yourself or have allowed your office to be used in such a blatant manner as to suggest you are ready to illegally or inappropriately use your office to do just that, namely, prop up or support your preferred successor. This is not only unacceptable, it’ll tarnish your reputation besides not being successful as Kenyans are now more wiser than ever before and will reject any efforts by you or anyone to once again try and ram down their throats as president someone they don’t want. You know all about this because you were with them when they rejected the Uhuru project in 2002 that saw you propelled to the State House as Moi’s successor. This fact notwithstanding, it is now openly being said and not without plenty of anecdotal evidence that the MP for Sabatia, Wycliff Musalia Mudavadi is your own project to succeed you. I refer to Hon. Mudavadi as the MP for Sabatia, not as the Deputy Prime Minister because Mr. Mudavadi does not have a legal basis to hold the position of Deputy Prime Minister, having left ODM, the party that sponsored him for the position. You or Mudavadi can hide behind the technical hurdles one has to overcome to have Mudavadi removed as DPM but if you were to follow the letter and spirit of the law, you would have long ago asked Mudavadi for his letter of resignation. Ditto for Uhuru Kenyatta serving as DPM—and that notwithstanding your part of the coalition sponsored him for the position. You have not done so, namely, asked for the resignation of these two politicians because it’s not in your political interest to do so. That’s putting country second to your political needs and is therefore no doubt un-statesmanlike. It is now also being reported in the news, and Mudavadi and his team are bragging that you are showcasing the Sabatia MP in your upcoming trip to the United States. If, indeed, this is true as is being reported, it is condemnable on the grounds stated above, and that is, it’s both wrong as a matter of law and inappropriate as a matter of good governance and policy. Showcasing Mudavadi in this manner is wrong as a matter of law because there is no legal basis for Mudavadi to represent the country in any of these events absent a clear explanation as to the unavailability of those who must do so as a matter of protocol and these are, in the order of priority, the Prime Minister, the Vice President, the Minister for Foreign Affairs or even a minister holding relevant portfolio such as the Minister for Planning and National Development. Showcasing Mudavadi in this manner is also wrong and inappropriate as a matter of good governance and public policy because, as president, you are required to be neutral in matters affecting your succession to the extent you are not allowed to use state resources to prop up or support your preferred candidate as that would be in clear violation of Chapter Six of the constitution and many other laws. Again, and to be sure, you do have a right to prop up or support any candidate you so choose to succeed you as president but what you don’t have is the right to use the office you hold in trust of the people to advance such a goal—at least not as flagrantly and in your face as would be the case were you to showcase Mudavadi as it’s being suggested. There is also no doubt when you recently had Mudavadi read your message of condolences at the late People’s Watchman Martin Shikuku’s funeral when the PM was also present at the event violated rules of protocol but that’s far less a violation as it would be if you export these antics to foreign lands, not the least the United States in this auspicious occasion of the opening of the General Assembly. For these reasons, Your Excellency, those of us who stand firmly for the rule of law and zero tolerance for abuse or misuse of state office for personal or selfish political gain kindly urge you to resist the temptation to use your office to prop up or support anyone to succeed you. Indeed, as earlier noted, Your Excellency, you’ll go far in further redeeming and solidifying your legacy if from this time on to the day you had over power to your successor you conduct yourself as a statesman and rise above politics to advance only that what is good for the country and no one can make a case that attempting to ram down our throats yet another project is a good thing for the country. Congratulations to Hon. Ababu Namwamba, Katoo Ole Metito and Paul Otuoma for their appointment as Ministers for Youth & Sports, Internal Security and Local Government, respectfully. President Kibaki must be commended, too, for appointing a non-controversial or partisan hack to the all-important security docket. Ditto for Raila in making sure MM is even more irrelevant politically speaking. While no one can seriously think or argue that any of these ministers, except for Metito, will accomplish anything of substance before their terms expire in March, the appointments are clearly politically significant in that both principals are maximizing the power of incumbency to their political goals and objectives.